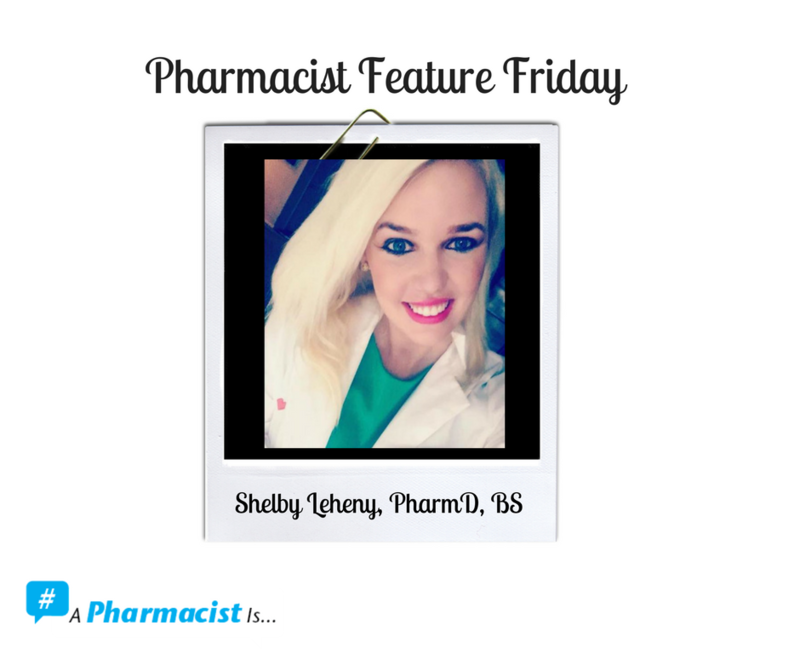 For information about Pharmacist Feature Friday and how to submit an article, please click here. A lot of people still fail to realize how important pharmacists are, as we are the drug experts and serve a vital role within the health care team. Pharmacists do not just count pills and throw them in a bottle. Pharmacists check for drug interactions, double check the dosages of medications by performing calculations, administer vaccinations, give recommendations, and help patients be proactive, leading them down a path of better health. I am proud to be a pharmacist because I know that I truly make a difference each day as I go above and beyond for my patients to the point that they are getting their friends to switch pharmacies, as I have been told I do a great job. I am still very young, but I started my pharmacy journey at the age of 16 as a technician. I worked in both retail and long-term care settings throughout the years and I have had the opportunity to meet and learn from many great pharmacists. After witnessing what pharmacists do, I decided to begin my journey, first at the University of Pittsburgh for my bachelor’s degree and then Lake Erie College of Osteopathic Medicine for my Doctor of Pharmacy degree. I was the first one in my family to get a college degree, let alone a doctorate. Since transitioning roles, I have made several good relationships with medical doctors in the area, who call me on a weekly basis asking me for recommendations on what to prescribe their patients and the correct dosing for their medications. I have also formed many patient-provider relationships, in which we know each other on a first name basis and they come to me with any questions about their medications or recommendations for OTC products. As a pharmacist, I never do the bare minimum. I am constantly thinking about new ideas, coming up with signs to promote vaccinations, and I try to screen every patient that I encounter to make sure they have the appropriate treatments. Whether they are missing a vaccine, or they are diabetic and don’t have a statin on their profile, I make sure to discuss it all with the patient and if necessary their primary care physician. I am so proud to be a pharmacist and passionate about the profession, which is why I love being a contributor to Pharmacy Times, as it allows me to share my experiences and opinions, while hopefully teaching at the same time. I hope to continue to grow within my role and be the best pharmacist that I can possibly be. The role of the pharmacist is constantly expanding and, in many states, pharmacists are even starting to prescribe. I would hope that soon pharmacists are recognized as the true drug experts we are. We have a doctorate that we worked our butts off for and we play a major role in the health care team. We are just not being utilized as much as we should and that’s why it is up to us to truly make our presence known and make a difference!